The first and only preventative HIV vaccine based on a genetically modified killed whole-virus has been making steady progress in Phase I Clinical Trials in the United States and the interim results are being analyzed in preparation for the next steps. 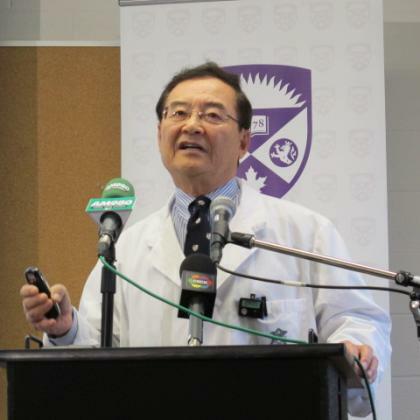 Developed by Dr. Chil-Yong Kang and his team at Western University's Schulich School of Medicine & Dentistry, with the support of Sumagen Canada, the vaccine (SAV001-H) holds tremendous promise for success in the final phases of clinical testing now that the first hurdle has been accomplished. It is the only HIV vaccine currently under development in Canada, and one of only a few in the world. The first human applied clinical study (SAV CT 01) using a genetically modified killed whole-virus vaccine (SAV001-H) to evaluate its safety and tolerability was initiated in March 2012. This study is a randomized, observer-blinded, placebo-controlled study of killed whole HIV-1 vaccine (SAV001-H) following intramuscular (IM) administration. Infected men and women, 18 to 50 years of age, have been enrolled in this study and randomized into two treatment groups to administer killed whole HIV-1 vaccine (SAV001-H) or placebo. Sumagen announced today that the patient enrollment has progressed smoothly and there have been no adverse effects observed including local reactions, signs/symptoms and laboratory toxicities after SAV001-H injection in all enrolled patients to date. With these interim results, the SAV001-H has proven safety and tolerability in humans and given Sumagen confidence for the next clinical trials to prove its immunogenicity and efficacy evaluation. In addition, the humoral immune responses, such as HIV-1 antibody formation against SAV001-H, are currently being analyzed. The interim data showed significant increase in the HIV-1 antibody formations after SAV001-H administration compared to the base line in some patients. Even though this study is a blinded study until completion, these results are encouraging for the possibility of the prophylactic potency of SAV001-H.
With these interim results, Sumagen is confident of the safety of SAV001-H and the potency of inducing immune responses in human trials. 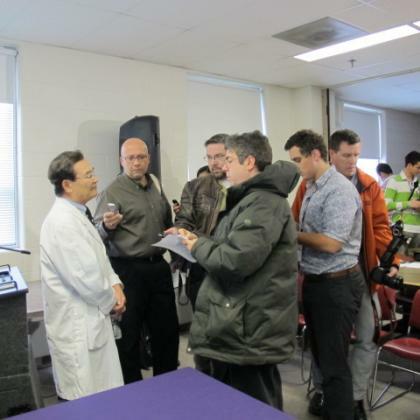 Dr. Dong Joon Kim, a spokesperson for Sumagen Co. Ltd. says, "We have proven that there is no safety concern of SAV001-H in human administration and we are now prepared to take the next steps towards Phase II and Phase III clinical trials. We are delighted to be one step closer to the first commercialized HIV vaccine." In future, the company will be looking for collaboration with multi-national biopharmaceutical companies for globalizing clinical trials and commercialization. This Phase I clinical trial (SAV CT 01) was partially funded by Industrial Research Assistant Program of National Research Council Canada since January 2012. HIV/AIDS has killed more than 28 million people worldwide, and more than 34 million people currently live with the virus infection. Since the virus was characterized in 1983, there have been numerous trials through pharmaceutical companies and academic institutions around the world to develop vaccines; however, no vaccine has been commercialized to date. Other HIV vaccines evaluated through human clinical trials have focused on either one specific component of HIV as an antigen, genetic vaccine using recombinant DNA, or recombinant viruses carrying the HIV genes. Kang's vaccine is unique in that it uses a killed whole HIV-1, much like the killed whole virus vaccines for polio, influenza, rabies and hepatitis A. The HIV-1 is genetically engineered so it is non-pathogenic and can be produced in large quantities.